NextQ&A: During CBT, Do I Have to Stop My Sleep Meds? Older sleeping pills—from barbiturates and benzodiazepines to Ambien and Lunesta—induce sleep via the GABA system. GABA is the main neurotransmitter responsible for calming the brain and putting us to sleep. GABA-producing neurons are found throughout the brain, and when they start firing, other brain activity grinds to a halt. Most sleeping pills speed this process up, thus helping put us to sleep and keep us asleep. Belsomra does not achieve its soporific effect through the GABA system. Instead, it works on the orexin system—on a much smaller group of neurons in the hypothalamus. These orexin-producing neurons are normally quiet during periods of sleep. But in the daytime they fire continuously, keeping us awake and alert. People who lack orexin neurons are narcoleptic, succumbing to irresistible sleep attacks during the day. Insomnia sufferers may have the opposite problem, researchers have suggested. The orexin neurons in our brains may be overactive, keeping us awake at night. Orexin receptor antagonists such as Belsomra are being developed based on experiments that show that suppressing activity of the orexin neurons induces sleep. How Effective Will Belsomra Be? The FDA does not require new drugs to be more effective than older drugs before gaining approval. How Belsomra stacks up against Ambien, America’s most popular sleeping pill, is anybody’s guess. But new drugs do have to work better than placebo. Here, Belsomra apparently passes muster. Compared with placebo, it has helped insomnia sufferers fall asleep faster and experience fewer middle-of-the-night awakenings. 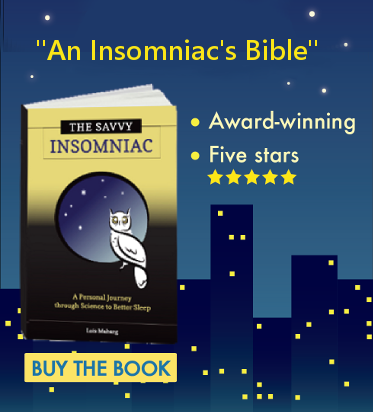 A year-long trial published in the May 2014 Lancet Neurology showed that after one month, insomniacs who took Belsomra got to sleep about 10 minutes faster than insomniacs taking a placebo and slept about 23 minutes longer. No great shakes! But we’re talking averages here. Is the New Drug Safe? A year ago there was quite a bit of concern that suvorexant in doses higher than 10 mg left a significant number of test subjects feeling groggy in the morning, impaired their driving, and led to other “narcolepsy-like” symptoms. But, based on documentation subsequently submitted by Merck, the FDA has decided to approve Belsomra for use in doses of 5, 10, 15, and 20 mg. Higher doses of the drug are said to be more effective—but they also tend to come with more side effects. The US Drug Enforcement Agency will probably make Belsomra a scheduled drug. A Schedule IV classification would place it in the same category as Ambien and most other hypnotics on the market today. So if and when Belsomra comes on the market and you go on to try it, use it with care. February 3, 2015: There seems to be a lot of interest in this new sleeping pill. Belsomra is now available here in the United States, and people are writing to me with questions about effectiveness, side effects, and cost. I have no plans to try it myself, so I can’t comment on it one way or another. But if you try Belsomra, I know others would appreciate hearing what you think about it. You may also be interested in learning more about the safety and efficacy of Belsomra. You’ll find that information here. I’m a chronic pain sufferer who also suffers from insomnia. I’ve taken ambien for years and just now tried belsomra. It makes me feel tired and I actually have gotten decent sleep. It isn’t the same as ambien in that it doesn’t knock me out. I feel tired and I have to make a point to go to bed. But it is working. I started on 15 mg and dr just gave me the 20mg to try. I’m glad you’re finding that Belsomra works for you. As I read through the comments on this blog, the one conclusion I come to is that there’s no predicting who’s going to find it effective and who isn’t. It’s a good thing people can try it out before deciding one way or the other. I have been taking Belsomra for about 2 months now. It has worked great for me. I have had to increase dosage to 20mg and I do have some next morning grogginess but manage it well with some coffee. I am able to sleep all night, I don’t even have to get up to go to the bathroom. No bad dreams, hallucinations or bad side effects. It’s a great drug for me. I have battled Insomnia for 3 years. I’m a cop and very dependant on a good nights rest, however since I first developed Insomnia, I have panic attacks if I fell I’m not going to sleep. I have been seeing a Psychiatrist who has me on Clonidine, 5-HTP, Melatonin, Magnesium and L-Theanine. For the most part, the listed works however due to recent higher levels of stress at work, I’ve been having to take Benedryl in addition to the listed to make sure I will sleep. Taking Benedryl REALLY messes up my next day, as it makes me tired. I told my Psychiatrist about my Benedryl issue and she just provided me a 10MG and 15MG trial sample of Belsomra. Last night I took a 10MG and it kept dreaming that I was waking up and seeing things. This morning I’m exhausted and wondering if I even hit REM. I wish I could just sleep naturally as my life literally depends on it, and so soes the people I protect. I’m sorry to hear about your panic attacks and the trouble you’re having with sleep. When I think about your job, though, (it’s probably pretty high stress), I can understand how the situation could come about. It’s really good that you’re reaching out for help. But I think the next step you should take is to consult a sleep specialist. Here’s why. 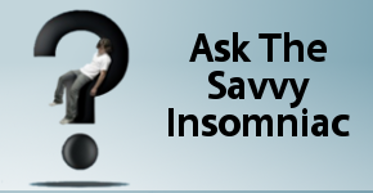 My advice would be to look for a sleep specialist in your area who treats people with insomnia and who is certified in behavioral sleep medicine. If you can’t find one, let me know and I’ll try to recommend someone. I have a list of providers but the form it’s in is not conducive to publication on this blog. Best of luck in finding the right kind of help. Have been taking Lunesta for many year and has worked well for me. Now my insurance won’t cover it unless my doctor sends them a letter explaining why I need it for long term use. Out of pocket the generic is still way too expensive. 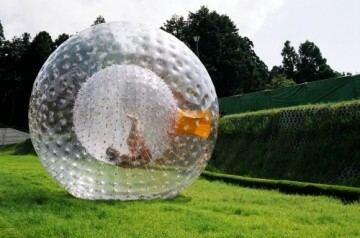 Switched to Ambien which seemed to work alright but found it had worse side effects the next day. So my doctor decided to give Belsomra a try. Weird drug. When I lay down my body feels tight and tense. When I do get to sleep I feel like I never fall into a deep sleep and wake up many times during the night. Today I got a really bad headache. Going back to my doctor tomorrow and ask her to write that letter. Zolpidem 10MG IR not the CR,for me is the best. Helps me to relax within 15 to20 mins and I can fall asleep.The only drawback is every so often,it doesn’t work and I need to take an extra half. That causes me to run out sometimes a week early. I REALLY WISH they would let the doctor write for more than 30 a month, but sadly they do not. For that week without I use ZQuil and Melatonin. It helps but nowhere near as good. It’s really too bad the doctor can’t write for 1-2 pills @ bedtime for sleep, but for whatever reason they only allow 30 Ambien @ a time. People there is only one drug that can help you with insomnia…..AMBIEN !!! I have been taking generic Ambien for many years. My sleep doctor gave me the rx to get my 10 day trial of Belsomra 20mg. My doctor told me to start with 1/2 a tab 10 mg and not to expect to sleep for at least the first 3 nights of the transition. I saw every hour go by last night. I slept for short periods of time on and off. I am going to wear my Fitbit tonight to track my sleep and I am hopeful to get some sleep tonight. I am glad my doctor gave me the heads up. I am not working this week so it is a good time for me to try the Belsomra . I really want to get off the Ambien it worries me that it could cause serious memory loss / cognitive impairment. At least some of the fitful sleep you’re describing here could be associated with going off Ambien, especially since you’ve been taking it for many years. Your doctor’s warning about trouble sleeping during the transition is no doubt based on clinical experience, and it’s good you’re off work this week. One small suggestion I would make is to avoid looking at clocks after you go to bed. Clock watching is bound to increase your anxiety, which is not something you want when you’re in bed at night. The Fitbit might provide you with some information about your sleep . . . but it might not be very accurate. Most sleep tracking devices work by detecting (or not detecting) motion. If you happen to be very still when you’re in bed, it might show that you’re asleep during periods when you’re actually lying awake. Or if you tend to thrash around in your sleep, the Fitbit might read that as wakefulness. None of the sleep tracking devices on the market today are super accurate when it comes to monitoring the sleep of people with insomnia. Good luck with the Belsomra trial. If you’ve got time and interest, write back to let us know how it turns out for you. Lois, thank you for the tips. Last night was not much better but tonight I will try not to watch the clock. This was an awful drug for me. I have had insomnia my entire life. I have been on so many different drugs since early childhood. Which I Get very immune within a week or so. Therefore i have to through agonizing weeks of no sleep and no energy. I can’t work cuz I don’t know when I am going to be able to sleep. It ha been this way all my life and I’m so sick of it. The ones that worked for people like me and everyone else with this problem are now being punished because people that didn’t need them misused them and raped and killed people!!! Sick people out there. I just want to sleep like a normal person. I want to play with my 10 yr old daughter and she knows that if I’m still asleep not to wake me. she doesn’t know the last time I’ve had sleep or how much of it I’ve had. That’s so sad! Please help me if you can. Thanks reading my rambling. It’s 7:00 am and I still have had sleep after taking 3 10mg ambien. and use the site search box in the top right corner to find information on a topic you want to know more about. Taking three 10 mg Ambien tablets does not sound safe. I would recommend that you be evaluated by a sleep specialist right away. all sleeping drugs are very very harmful to your nervous system. I have found after many years on Klonopin and Xanax that if you take l-theanine throughout the day and that needs them at night it will restore your nervous system. Make sure and take magnesium citrate and not outside. The oxide does not absorb in the body very well. And also I step on a kava or valerian root rest and relaxation type of herbal teas. Remember less is more when healing. Write in a journal and get all your fearful thoughts out before going to bed. You can do this! For many years I have fought this battle with insomnia and always on the losing end of it. I started off with (Ambien) for many years (Ambien) worked but I was clueless to the side effect. Here’s what I mean I would take my meds and then lights out I would fall asleep quickly. Little did I know I would at some point after taking the pill I would get up and I would sometimes fix me something to eat NEVER burning my food or causing a fire…One night after I had eat and gone to bed I had vomited and the only way I would of known that was the vomit was all over my comforter. I decided to share this info with my It’s been 7 miserable sleepless nights & on top of the my husband is constantly complaing and bitching about me not coming to bed so needless to say I’m ready praying that this will solve my sleeping problem/marriage. It’s been a roller coaster ride that I’m ready to get off of. Thank God I decided to check the internet for any new meds out on the market that could help me !! I can’t wait to call my Physician and get on this medication. Chris my heart goes out to you. I half to get drunk and then take a Xanax and ambein to get a couple hours. If not then I’m up 24/7. If I try not anything after a few days then I get severe anxiety and then I’m afraid to leave the house. Good luck to you my friend.